In the hearts and minds of pet owners, their furry companions are very much family. This status of full fledged family member can be a major point of contention for divorcing couples. Who gets custody of the dog(s)? If the separating couple wants to share custody, who gets what time and when? Divorces that are on track to be an amicable split can be brought to a screeching halt when it comes to Fido. Unfortunately in the eyes of the law, pets are considered property. Custody decisions (for children) are made one of two ways —either the couple creates and agrees upon a parenting plan or the parenting plan is litigated in front of a judge. In the former, both parties negotiate the details of custody and reach an agreement that outlines where the child will reside, how holidays are handled, where the child will go to school, etc. An agreed parenting plan should cover all the details of when, where, what, who, and how of raising the child. If the couple is unable to reach an agreed upon parenting plan, the who, what, when, where and how will be left to the family courts to decide. In child custody cases the court’s primary responsibility is to act on behalf of the child’s best interest. In some cases the child’s best interest is obvious. In others, it can be complicated and require multiple experts to evaluate both parents’ ability to provide the best environment for raising the child. 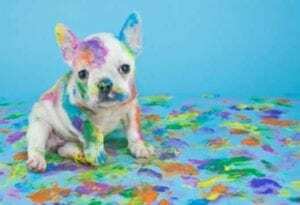 While many people think of their pets as children, historically the courts have used the same rules for dividing property to determine what happens to Fido. Under Washington State law, pets are considered personal property. From the court’s perspective, awarding shared custody (or visitation) of a pet would be exactly the same as if you had shared custody (or visitation) of an iPad. Anyone who has loved a pet knows that the relationship between pet and owner is very different than that between iPad owner and iPad. It is rare that a person would have the same attachment and emotional response to their iPad as they would to their dog (but given the lines for Apple product launches, it may be presumptuous to say it is impossible). Because deep emotional attachments are common with pets, the courts may be mindful of the unique circumstances posed by dividing a pet as property. It is often in the owners’ (and the pet’s) best interest to reach an agreement amicably. Creating an agreed upon “pet parenting plan” with your ex may be the easiest way to ensure you are able to maintain your relationship with your furry friend. 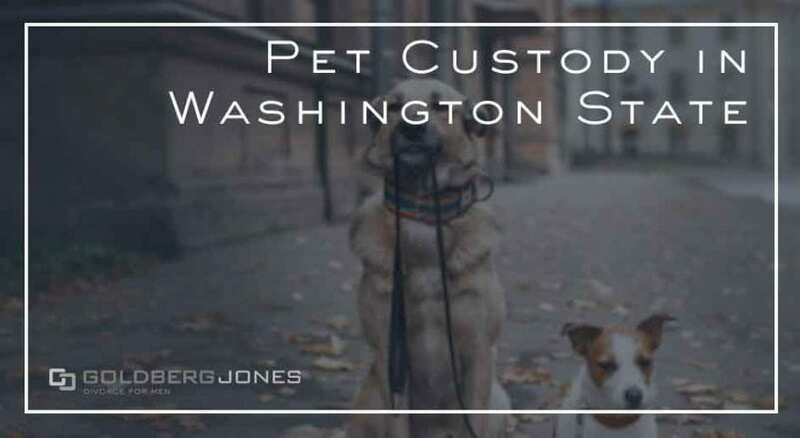 Some courts may take into consideration whom is most closely bonded to the pet, where others may look to the source and date of payment to determine ownership. Your attorney will be able to explain in detail how the courts in your jurisdiction are likely to assign ownership. If you are concerned about pet custody in your divorce, your first stop should be to talk to an experienced divorce attorney. They will be able to review the facts of your case and give you an idea of what your options are.